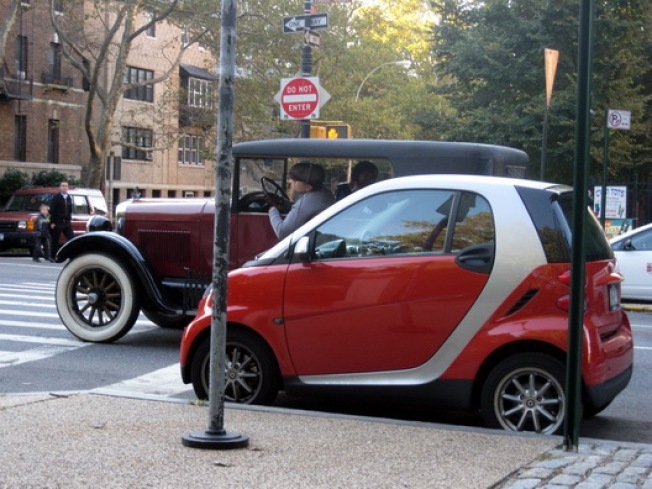 This old car (or, at least, its driver who was staring) really wanted this svelte, young little smart car. That it happened in Park Slope where things have a way of coupling and spawning, by one of the most expensive stretches of real estate in all of Greater Park Slopia, only drives the point home. Well, at least they weren't doing it in the road like these two in Tribeca.